I had such a cool opportunity today! 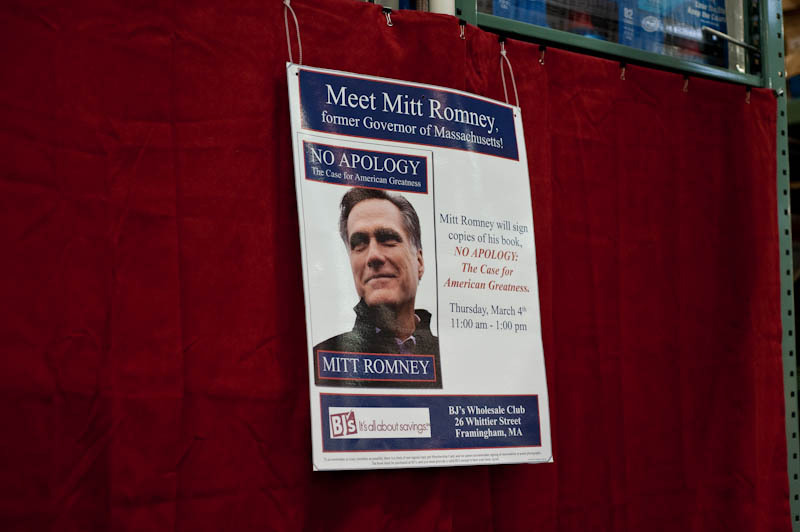 I was contracted to take photographs at the book signing for Mitt Romney's new book "No Apology." 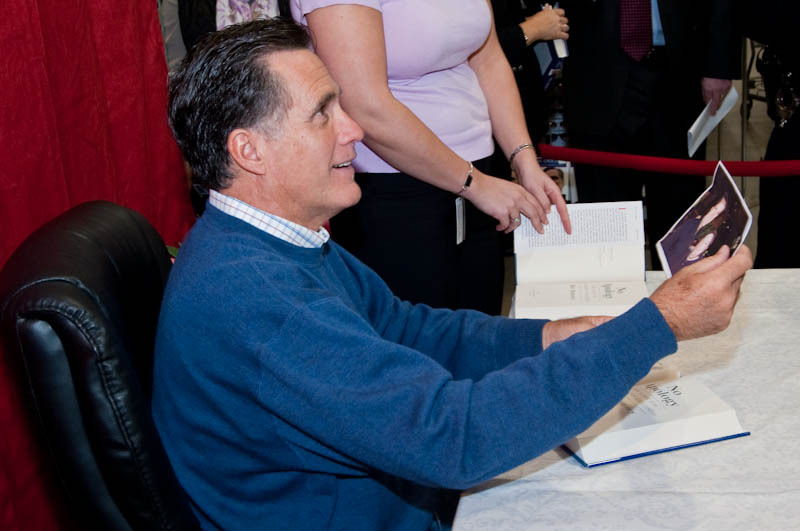 My responsibility was to get shots of the crowd waiting for the book signing (and it was a HUGE crowd), to photograph Mr. Romney addressing the crowd, and to take photographs of each person as they met Mr. Romney and had their book signed. 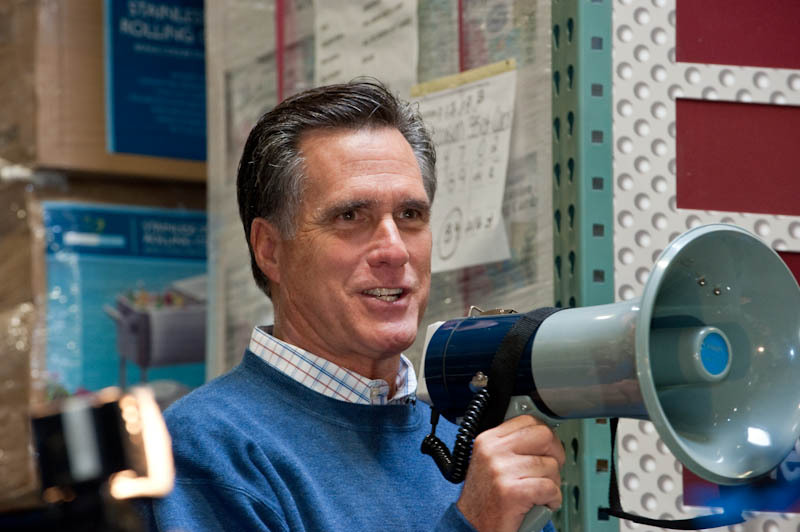 The best part of the day was having the opportunity to be in such close proximity to Mr. Romney, and to hear the stories people told him. 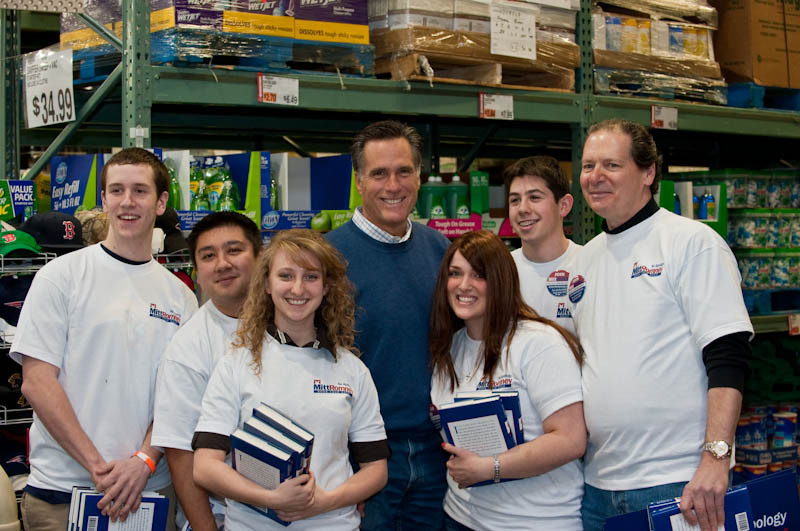 And Mr. Romney was so gracious and interested and kind. 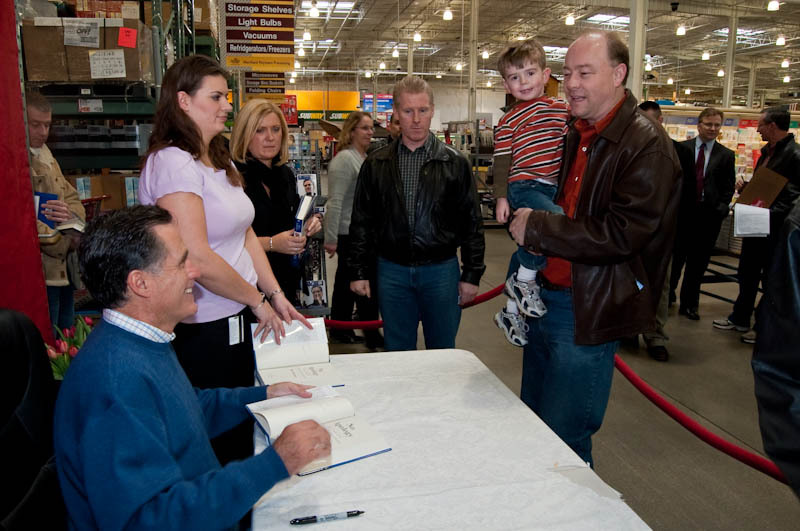 All politics aside, he was just so nice to everyone and was grateful that they were willing to be there and wait in line to meet him. 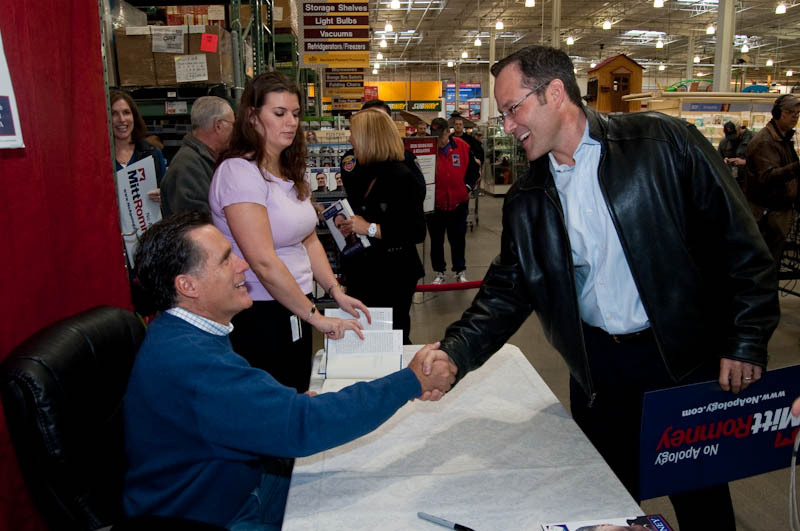 I loved this story - A man came through that had met Mr. Romney a few years previously. That meeting inspired this man to start running and lose 150 pounds. He had a picture of the two of them hanging on his mirror and that was his inspiration to get out and run and better his life. This man has gone on to run the Boston Marathon, Chicago Marathon, and is starting to run ultra marathons. 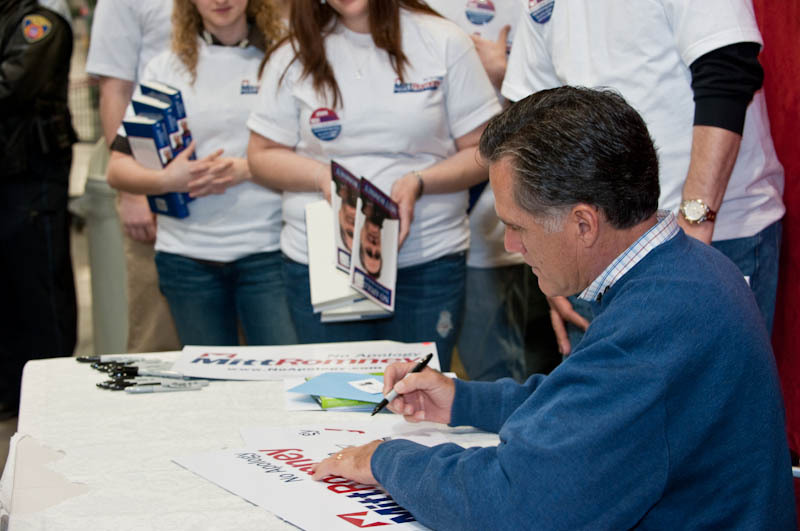 This photo is of Mr. Romney holding the photo that was hanging on the mirror. 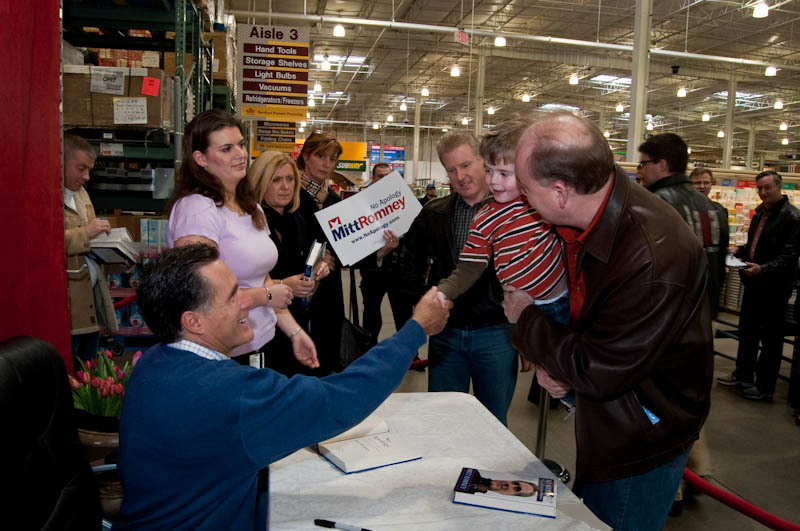 He signed it, and then we took a new photo of the two of them. So inspiring. It was also fun to see friends show up in the line. 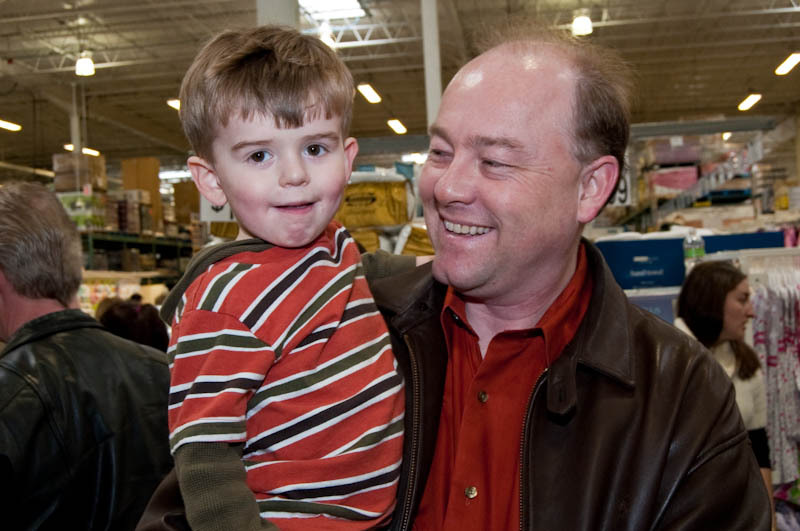 Like the dad from this cute family. They also got interviewed for the website, so we'll keep checking back to see if Diggity's interview shows up. 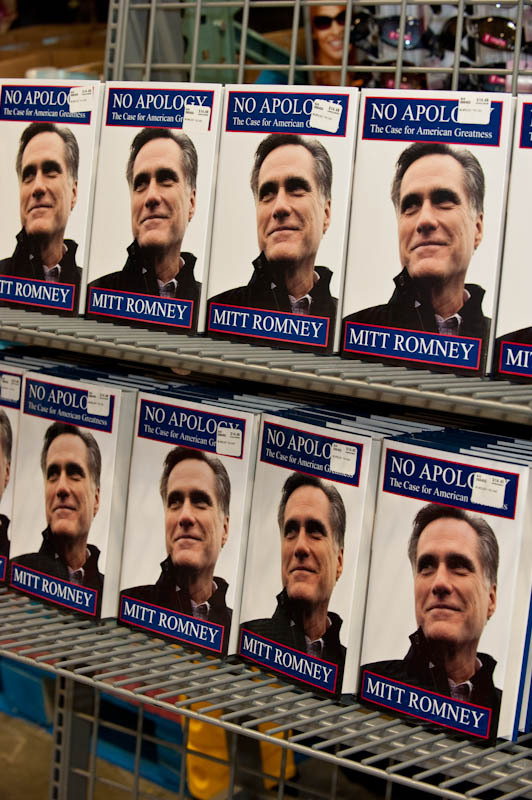 The enthusiasm in line and in the store was palpable. But especially from these volunteers. Many of them got up early and drove for hours to be there today. Such a busy day, but I really had a great time and was so grateful for the opportunity!